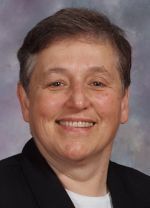 Sister Rose Monica Katusz, O.S.F. Sister Rose Monica Katusz, O.S.F., (68) died May 30 in Assisi House, Aston, at the age of 68. She had been a professed member of the Sisters of St. Francis of Philadelphia for 47 years. Sister Rose Monica (Kathryn Mary Katusz) was born in Wilkes-Barre, Pa., and grew up in Dundalk, Md., where she was a member of St. Rita Parish and a graduate of the Catholic High School of Baltimore. She entered the congregation in 1965 and professed her first vows in 1968. Sister Rose Monica earned a B.A. in English from Neumann University in 1973, an M.S. in chemistry from West Chester State University in 1981 and a Ph.D. in chemistry from the University of Delaware in 1992. She ministered primarily in education on elementary, secondary and college levels and in missionary work in Africa and Alaska. In 2012 she received an award from the Children of God Relief Fund recognizing her work in helping to establish Lawson High School in Nyumbani Village in Nairobi, Kenya. Sister Rose Monica ministered in the Archdiocese of Philadelphia for 38 years. She began her years in teaching at Our Lady of Perpetual Help School in Morton (1968-1971). From 1971-1974 she taught at West Catholic Girls High School. Her ministry on the college level included teaching chemistry at Neumann University (1985-1987, 1992-1993). Between 1993 and 1995 she divided her time by working as a lecturer at Neumann University and the College of Allied Health at Jefferson University and as a math and science tutor at Harcum College in Bryn Mawr. She also served as director of special projects for mission and ministry at Franciscan Health Systems in Aston. From 2012-2015 she worked at Delaware County Community College, first as assistant dean of the science department and then as an adjunct of special projects. Shortly before her death, she began working as a volunteer in the congregational finance office for the Sisters of St. Francis. Sister Rose Monica ministered for 11 years in Africa. From 1995-2002 she taught at St. Clare Girls Secondary School in Kenya. From 2008-2009 she taught at St. Lucy Raruowa Secondary School in Kandiege. In 2009 she helped to found Lawson High School in Nyumbani Village near Nairobi and taught there until 2012. Sister Rose Monica also ministered for five years in the Diocese of Allentown where she taught at Holy Name High School in Reading from 1974-1979. Sister Rose Monica’s five years of ministry in the Diocese of Fairbanks, Alaska, included serving as an administrative assistant and staff person in the Delta Program in St. Marys, Alaska, and in the surrounding Yupik villages (2003-2008). The funeral Mass for Sister Rose Monica was celebrated June 2 in Our Lady of Angels Convent Chapel, in Aston. Sister Rose Monica is survived by her sister, Christine Perkins; her brother, Brother Leonard Katusz, O.F.M. Conv. ; a niece, nephew, grandniece and her Franciscan family.